Chandresh Kudwa | OK Listen! 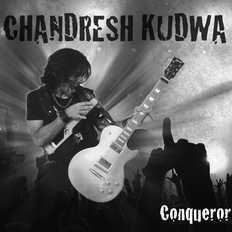 Chandresh Kudwa is an electrifying guitar player whose high-energy onstage performance never fails to enthrall the crowd. Through the years, he has gathered a strong fan following of music lovers. His feel oriented guitar solos, have led him to be idolized by guitar players all over the country and his new approach to Instrumental compositions by combining the Ukulele and Guitar have made him an extremely popular figure. With the release of 2 successful Solo albums (Guitar Instrumental) titled “A Change”(2009) & "Conqueror" (2011) and 2 Albums, Human Race and A Moment of Weakness with his former band Dream Out Loud, he has definitely carved a niche for himself. His song “The Good Life” from the album "Conqueror" marks a one-of-a-kind collaboration with world-renowned guitarist from Sweden Mattias IA Eklundh. He has toured alongside Jeniffer Batten (Guitarist with the late Michael Jackson) & has opened for Gilby Clarke (former Guns n Roses Guitarist). His project called Axe-Tortion, which was a collaboration of various Guitarists from India and other countries, was one of the most popular music projects in the country! 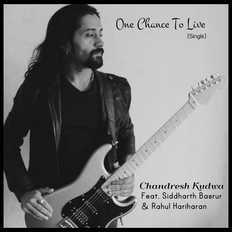 Chandresh is also a Composer/Session Guitarist in the Ad/Film Industry and is associated with Jingles created for Mahindra XUV 500, Ceat Tyres, Complan, Glucon D to name a few. He was the man behind the "Insane Guitar Solo" on the Track "Dilli Dilli" composed by Amit Trivedi for the Bollywood film No One Killed Jessica & the very catchy Riff in "Jiya Re" composed by A.R.Rahman. His latest single, called "Overprotective" wherein he sings for the 1st time ever, is about his relationship with his daughter & is one of the the most honest songs he's ever written. The offcial video of this song can be seen on Mtv Indies & his official youtube channel.